With the blessings and support of President Donald Trump, the U.S. Commander in Chief, Defense Secretary James N. Mattis has authorization to deploy as many as 1,000 U.S. Army troops to the U.S. border with Mexico to support the Department of Homeland Security border security mission there. 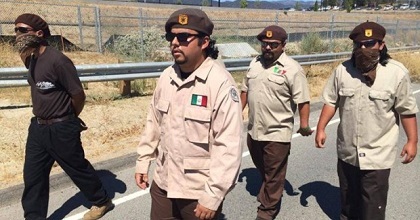 La Raza is a group of radical leftists who are easily swayed by the Demorcats. At least 800 soldiers began their deployment following the President’s authorization, as he sees the number of Central Americans — estimated to be 14,000 and growing — undeterred from their quest to push their way into the United States. According to reports obtained by the National Association of Chiefs of Police (NACOP), Secretary of Defense James N. Mattis and the Department of Homeland Security Secretary Kirstjen Nielsen — whose department includes the U.S. Border Patrol, the Immigration and Customs Enforcement (ICE), and others — are working closely together to meet the president’s goal of enhancing border security. President Trump directed the U.S. military to expand its existing support to the DHS border security mission, according to the Pentagon’s chief spokeswoman Dana White. The president authorized the troop deployment to enhance its support to U.S. Customs and Border Protection, which consists of Border Patrol agents and Customs officers. The military efforts will include use of military-grade unmanned aerial vehicles (UAVs), engineering tasks, electronic surveillance, enhanced communications equipment, vehicle maintenance and logistics support. These military members will act in support of Border Patrol agents who are performing law enforcement duties. 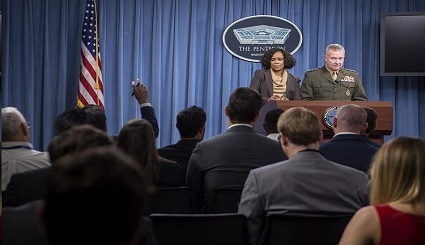 Chief Pentagon spokesperson Dana W. White and Marine Corps Lt. Gen. Kenneth F. McKenzie, the Joint Staff director, brief reporters at the Pentagon. (DoD photo by Air Force Tech Sgt. Vernon Young Jr). 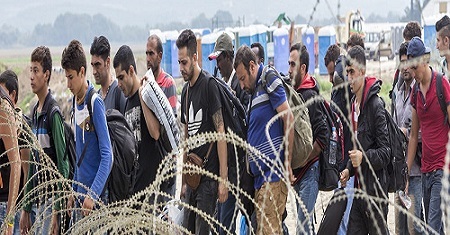 The Pentagon has established a new Border Security Support Cell led by Kenneth P. Rapuano, the assistant secretary of defense for homeland defense and global security. This is a 24/7 cell comprised of several DOD representatives who will serve as the single conduit for information and coordination between DOD and DHS. This all-important cell will operate for the foreseeable future to ensure what the capacity to meet the President’s enhanced border security goals. The cell will focus on supporting CBP’s priorities based on missions and threats, which will determine the time-frame and the number of military personnel employed. “DOD will continue to have a critical role in securing our nation’s border in partnership with DHS to ensure the defense of our nation and the security of the American people. your,” said Rapuano.